The Asian Football Confederation (AFC) plans to introduce the Video Assistant Referee (VAR) system at next year’s Asian Cup finals, the regional governing body said on Thursday. Top flight leagues in Spain, Italy and Germany have implemented the system, which allows key incidents to be reviewed with the use of video replays, and the technology was used at the World Cup in Russia this year. The AFC said it has received approval from the world governing body FIFA and the rule-making International Football Association Board (IFAB) and will use VAR at the tournament, which kicks off in the United Arab Emirates on Jan. 5. “Asian football is determined to embrace technology for the good of the game and we are looking into the introduction of VAR at some stage during the AFC’s pinnacle competition — the AFC Asian Cup in the United Arab Emirates,” AFC President Shaikh Salman bin Ebrahim Al Khalifa said in a statement. “We saw VAR first hand during the 2018 World Cup and it was clear to everyone that there needed to be a great deal of training of officials and investment in facilities to make sure the system was effective and a positive addition to the game. 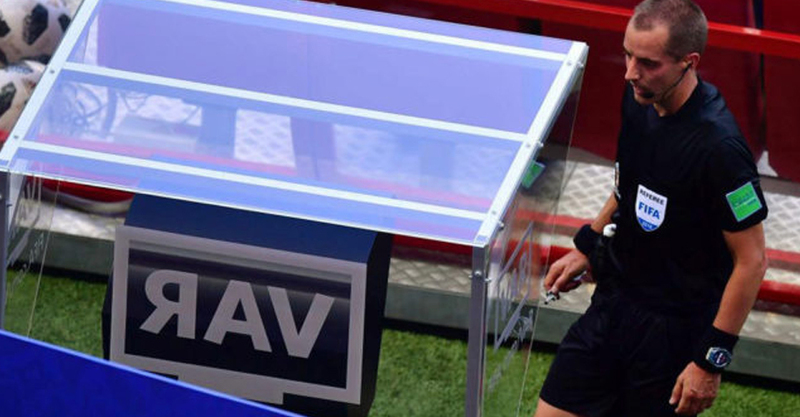 The VAR system uses a trained referee with access to a video monitor, and in constant communication with the main match official, who checks decisions considered “match-changing” and is considered an efficient support tool for referees. It was hailed as a success at the 2018 World Cup but there have been complaints about the system disrupting the flow of the game while decisions are reached and confusing spectators in the stadium. The extended 2019 Asian Cup will see 24 teams taking part for the first time, up from the 16 that competed in the last four editions.